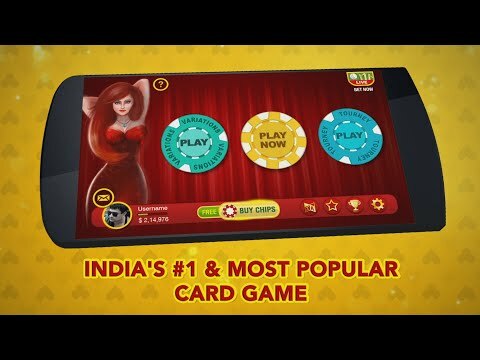 ♣ TEEN PATTI BATTLE : Select 3 best suited cards to spawn mystical characters and experience card war like never before. Characters' fighting strength will be based on 3 Patti ranking of hands. Trail releasing the strongest character and high card releasing the lowest strength character. 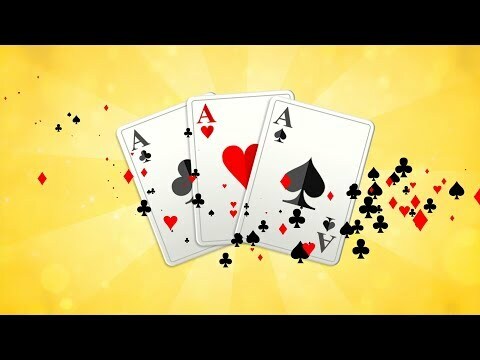 ♣ TOURNAMENT : Play Sit 'n' Go or take part in high stakes tournament. 1. 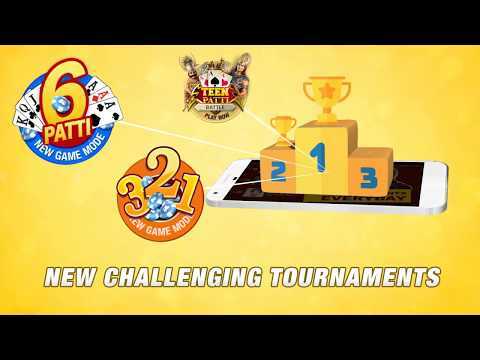 Introducing new game mode Chatai where you can play Teen Patti in a much more fun way with your friends. 2. Adding lucky card feature where you get the chance to earn free Teen Patti chips. 3. Bug fixes and enhancements. 1. New Achievements to brag about. 2. Introducing Message Centre where you will receive all the notifications related to your game. * Now you can change your avatar on fb login as well. * Get chance to earn Salaami from your friends. * Enhancements and bug fixes.